Sevilla is the capital and largest city in Andalucia, and has a long history of being one of Iberia’s most important cities. 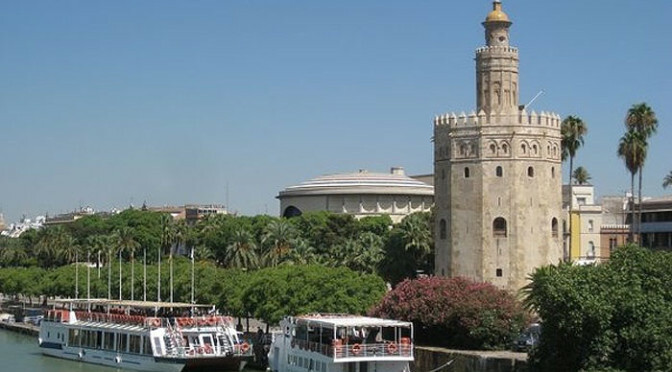 It was from Sevilla that the conquest of the Americas started, and during the golden era of the Spanish Empire, Sevilla was the kingdom’s most important commercial centre. Today Sevilla has lost some of her lustre, but what is left behind is genuine, allowing the visitor to immerse themselves in her culture. Things to do and see in Sevilla include the cathedral, the Alcazabar, the old town, Plaza de España, the bullring, the Torre del Oro, wander the streets of old Triana. and much more. Bullfighting has a proud history and tradition in Andalucia, and no more so than in Sevillawhere the Plaza de Toros is still used to this day. Owned by the Real Maestranza de Caballeria de Sevilla, the plaza competes with Ronda for the title of oldest bullring in Spain. 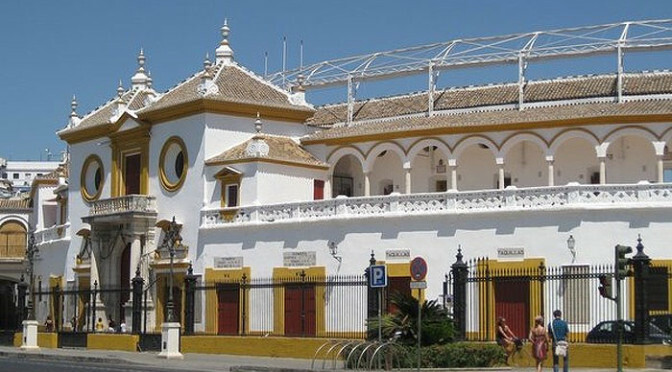 Before construction was completed, bullfights in Sevilla would take place in the Plaza de San Francisco in a rectangular shaped arena specially erected and then dismantled for each corrida. Designed by Francisco Sanchez de Aragon and Pedro y Vicente de San Martin, the current plaza is built was completed in the mid 1880s from stone and brick, and then renovated again in the 20th century by the renowned architect Anibal Gonzalez who also designed Plaza de España in the city. Sitting on the city side of the Guadalquivir River in Seville, visitors to the city flock to the Torre del Oro, translated it means Gold Tower, and was built during the 13th century by the Almohad rulers of Al-Andalus to protect the city from Castillian invasions. Originally the tower was part of a pair, the other being located across the river in Triana, and together they were the end points for a solid chain that could be lifted or lowered in the river to prevent ships from passing. 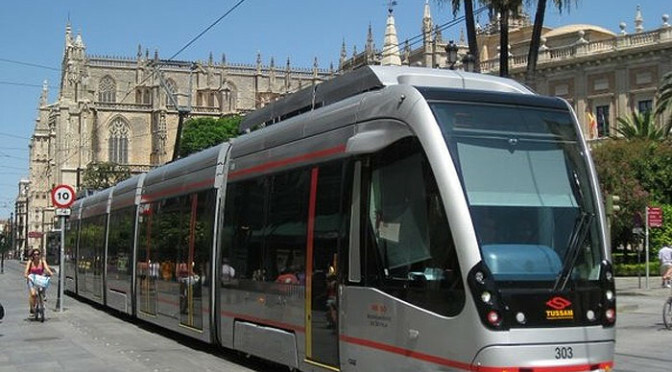 Any visitor to the old part of Sevilla will no doubt notice the sleek silver trams that run the length of Avenida Constitucion past the cathedral terminating in Plaza Nueva. In the other direction the tram terminates at the San Bernardo railway station. It’s tempting to ride the tram just for the experience, but unless you live in Sevilla you’ll find the route quite limiting. Plans are afoot to extend the service over the Guadalquivir River and into Triana but as at November 2011 this hasn’t happened. Tickets for the tram costs 1.30€ for a one way trip, and if you’re staying in the city for more than a day it’s better to buy a bonobus ticket (3.75€ for a day) which lets you travel by tram and bus simply by swiping your card. Future plans for the tram involve extending the line to Santa Justa AVE station, and through the main shopping precinct to Santa Catalina. Current stops are Plaza Nueva, Avenida Constitucion, Puerta de Jerez (university), Prado de San Sebastian (bus station), and San Bernardo.